Embodied Wellness was founded by Rachael Bonaiuto, MA, BC-DMT, LPC in 2008. The vision for Embodied Wellness emerged from a lifelong journey rooted in compassion and acceptance for self and others, along with peaceful ways of empowering individuals and communities. While this vision emerged, so did the struggles of life. Several years ago, Rachael began to re-member - after a series of illnesses, injuries and devastating encounters with medical professionals - that she was the real authority of her body. Through this recognition, she came to reclaim her own power and learn to trust her own answers... While working with others - of all walks of life - Rachael began to see how this understanding was invaluable for their journeys, as well. Feeling heart broken by our broken system, Embodied Wellness was created to offer a new system for people - supporting self-knowing, empowerment, and growth. Embodied Wellness uses proven tools and interventions to helps you make the change YOU want to make, to discover YOUR own balance and to learn to love, trust, and value YOURSELF. Through this process, Embodied Wellness has witnessed countless individuals, couples and families engage in more intimacy with self and others, find freedom and trust in their own bodies and achieve intended goals in career, creativity, relationship, health and personal growth. It is our joy and mission at Embodied Wellness to support our clients' development of new patterns and attainment of optimal wellness. 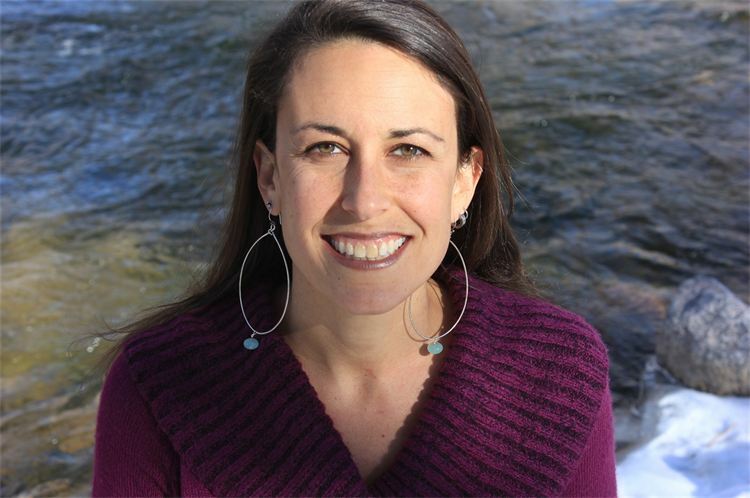 Rachael Bonaiuto holds her BA in Psychology and Philosophy from Indiana University and an MA in Somatic Counseling Psychology from Naropa University. Rachael is a Board-Certified Dance/Movement Therapist, Licensed Professional Counselor, and has extensive training in Authentic Movement, Meditation, Motivational Interviewing, and Cognitive Behavioral Therapy. She has been active in the mental health profession for over 15 years. Rachael has served as a community development specialist, teacher, counselor, sustainability consultant, spiritual mediator, Peace Corps Volunteer and Life Skills Trainer. As a Psychotherapist, she has worked with individuals, families, couples, and adolescents since 2003. Rachael has an authentic presence and relates to each client with heartfelt acceptance, wisdom, and power. She listens deeply, responds intuitively, incorporates diversity, and applies useful interventions with humor, creativity, and joy. Rachael's approach is centered around building genuine connection, developing somatic awareness, and exchanging honest presence. Rachael believes that each of us are our own agents for self-change and deeply trusts the inherent wisdom of healing potential in every body. EMBODIED WELLNESS is dedicated to making a difference in the lives of individuals, couples, families, and groups. We support increased self-love, deeper connections, and greater access to interpersonal resources. We welcome the opportunity to support you in your evolving journey and look forward to co-creating healthy relationships rooted in trust, mutual respect, and movement. Embodied refers to the "biological and physical presence of our bodies, which are a necessary precondition for subjectivity, emotion, language, thought and social interaction." Life is experienced through our Embodied presence. It is with Embodied breath, sensation, and movement that we connect to ourselves and others and it is from this Embodied awareness that we heal, grow, and make sustainable change.